[London, 26 June 2017] With such a wide range of solutions, and engagement just a click or two away, the managed services industry faces a challenge in how it chooses which products and which other partners to work with. 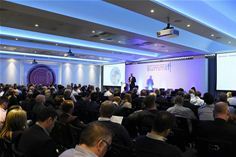 “In recent months we have seen many initiatives from distribution, vendors and managed services players themselves to help build a co-operative approach to solving customer business issues, but it is not easy,” says John Garratt, director of the Managed Services & Hosting Summit to be held in London on 20th September. The managed services market is in a very healthy state, but needs to evolve further to meet the challenges posed by rising customer demand for digital transformation, he says.